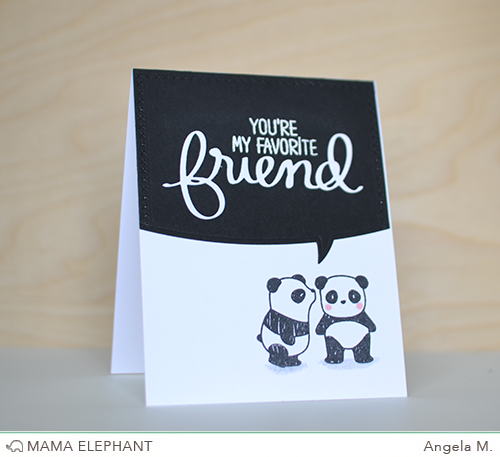 Today we are introducing the Friend Indeed stamp set and Friend Script creative cuts die! These designs are based off my handwriting once again and are just the perfect focal point for your projects! I love how big and bold the word is... it really does take center stage like in this card. I stamped the florals from Lovely Mums and white embossed them before watercoloring them in soft pastel colors. That's still one of my favorite floral sets! We gave the option as a stamp and a die cut. Think about the layering and shadowing possibilities! Angela layered the friend script creative cut right on top of the speech trio creative cuts. She then white embossed the rest of the sentiment to create this super cute semi black and white card! Love the sentiments, really cute black and white card too. YES! Loving this new collection! Such an incredible sentiment set to have on hand! Love this set! 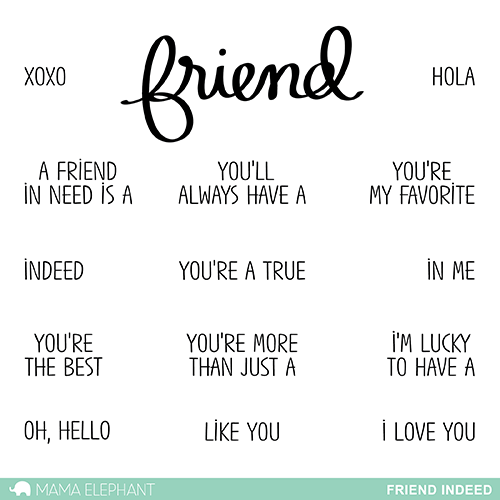 The friend font is gorgeous! I love word stamps and don't seem to ever have enough. Sometimes I love some words on the inside of the card or the front and sometimes, on the inside of a card, I just want to write my own words. These are great sentiments though. I may have to think about getting these! 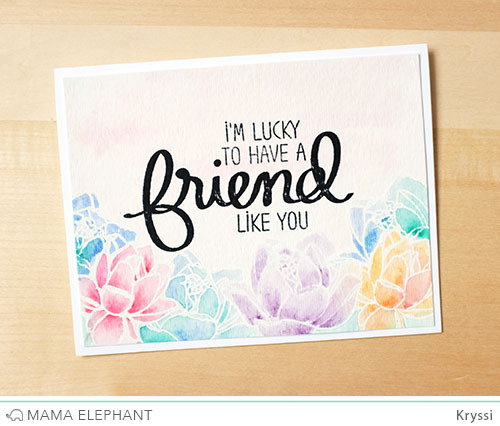 Love the friend stamp set....neat sentiment and beautiful cards.